Comment: I want cabinets in my office area. Comment: United Cerebral Palsy of Delaware Inc. is a nonprofit organization located at 700A River Road, Wilmington. Each year we provide camp opportunities for holiday respite care and a 6 week camp during the summer. We also use the kitchen for multiple events throughout the year. We are looking for a contractor to provide an estimate for the renovation of our kitchen which will also include work regarding the kitchen flooring. Comment: 2 cabinets fell off the wall in the kitchen and not sure what caused this to happen. Comment: I would like to get an estimate for refacing my cabinets. Comment: Redoing small bathroom and want to paint a stained cabinet 36x22. Wilmington Cabinet Contractors are rated 4.73 out of 5 based on 729 reviews of 36 pros. 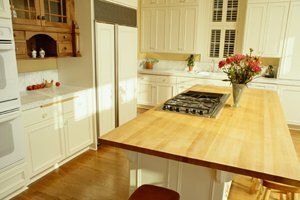 Not Looking for Cabinets Contractors in Wilmington, DE?